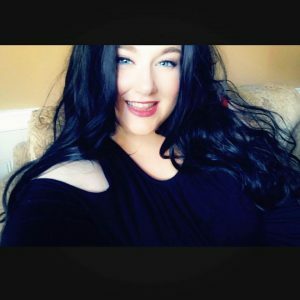 Hello, my name is Shaelynn Baxter and I’m currently a student attending the Social Services Program at the Nova Scotia Community College in Sydney, Nova Scotia. However, I will further my career after this program to obtain a Social Work Degree. I was diagnosed with severe anxiety and depression and that’s how I began to dedicate my time to helping others in need. Mental Health has had a huge impact on my life and I’m happy to be able to finally start sharing my story. It’s the days where getting out of bed is too hard. It’s the days when you’re looking in the mirror asking yourself “what’s wrong with me?”, “why am I the one who has to deal with this?”, or “why aren’t I skinny or pretty enough?” It’s the days where you feel like giving up because fighting through isn’t worth it. Those days are when you feel like you’ve hit rock bottom and don’t know how to start over again. I’ve been suffering from depression and anxiety for as long as I can remember. There were many days where I thought if I ended it that day, then the pain and suffering would end as well, but what I realized was that by me killing myself, I’d just be passing the pain onto someone else. What I actually needed was someone who was willing to listen, I didn’t need a response, I just needed to know they were listening. I was only 12 years old when I first got diagnosed with severe depression and anxiety. Being told you had mental illness at such a young age was hard to comprehend and understand, that there was a reason why you felt the way you felt. I always felt hopeless about life and I would always feel like I was a waste of space and wasn’t worthy to be alive. I started to want to die because that seemed a lot easier than being alive and suffering. Living with both mental illnesses didn’t bother me too bad until I went to High School. As the pressure of having “perfect” grades intensified, I felt myself breaking down and couldn’t get myself out of the darkness I was pushing myself into. I would hide in bathrooms or leave school early because I felt “sick”, holding back tears so my friends or family. I could never tell how overwhelmed I really felt. Getting out of bed everyday was becoming a hassle and most of the time, I would skip school, just so I didn’t have to deal with it. I started to become a very angry person; mad at the world, mad at everyone around me and most of all, mad at myself. I would consistently ask myself why everyone else seemed so happy and had such perfect lives, and why couldn’t I be like them? For the next five years after I graduated high school, I couldn’t bring myself to go back to college or university to further a career, I wasn’t ready to be put under that much stress again, so I decided to work in retail until I felt I was ready to go back and further my education. Working in retail had its ups and downs, customers who were verbally abusive definitely put a damper on my mental health, which caused more relapses and mental breakdowns. Eventually in 2017, I got accepted into the Social Services Program at NSCC Marconi Campus. I was still very negative and angry at the world when I first went into the program but after a few months and with the positivity, support, and help from my professors in the program, I began to shine. I started to come out of the darkness I was in and began to come to the realization that I was meant to help others in need and help them through tough times in their lives. I know what it’s like to face the disease of mental illness every single day and if I can help make one person’s life a little bit easier, it’s worth it. There has been a countless number of times that I would cry myself to sleep because I’d start to convince myself that I had no worth and there was no point of me being alive. I would over-analyze text messages and phone calls from friends or family, and I would believe my mind telling me that they didn’t like me, that they wanted to see me fail, or they didn’t care if I was alive or dead. The thoughts became so overwhelming that I just feel like I was drowning and can’t do anything about it. I would purposely scratch at my skin, sometimes making it bleed, because that was my comfort zone to calm myself down if I was having an anxiety attack or depressive episode. Overcoming anxiety is one of the hardest things I’ve ever had to do and even though I’m still not there yet completely, I’ve made progress since the age of 12. I can go into public areas without thinking people are staring or laughing at me, I can call and make my own appointments, and I reach out for help when I need it the most. My anxiety disorder still hangs over me but it no longer controls me and that in itself is a massive accomplishment. I’ve come a long way with both my anxiety and depression, and for that, I will always be proud of who I’ve become. Of course, I still have bad days, weeks, even months. Days where all I feel is emptiness and the thought of being happy is never going to happen, but I’m definitely stronger than I was a few years ago and I’ll be even stronger in the years to come. I’m not letting my illnesses win this battle. If you don’t have a mental illness, it’s hard to understand them and you may think it’s easier to leave that person in the dust instead of just being there but it’s not. All that person needs is for you to be there, talk to them, listen to them and love them. I’ve lost a lot of important people in my life because of my illnesses, some I thought would be in my life forever and I only have one thing to say to those people, thank you for leaving because you’ve shown me that I didn’t need you to be strong and you’ve also shown me the people that were willing to stay in my life despite what was going on. To the people who have stayed during my bad days, thank you. I am so lucky to have the friends and family I have, the ones who pick me up when I’m down and support me with everything I do. I wouldn’t be here or the person I am today if it wasn’t for all of you. You’re never alone in your journey, life isn’t easy but it’s worth living.